You must make reservations at least 5 minutes in advance of the time at Rye Plaza. Rye Plaza offers valet parking during dinner service for our guests in addition to street and Plaza parking garage options. All catering options are custom packages, please contact susan@ryekc.com for additional information regarding catering options. 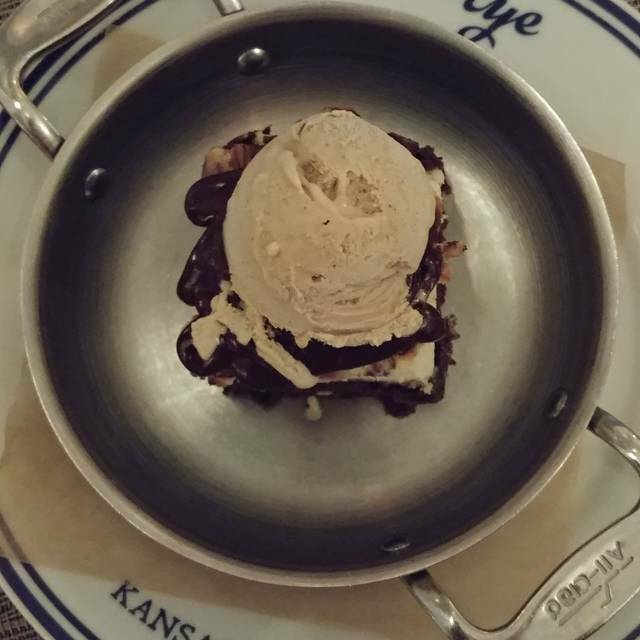 Rye restaurant on the Country Club Plaza, celebrates Kansas City & Midwest comfort foods. The private dining space at Rye is a perfect setting for any occasion. Our event team will assist with all your needs to make your event a seamless experience combined with an award winning culinary team. Rye, a restaurant celebrating Midwestern recipes, traditions, and culture using local Kansas & Missouri flavors and farmers. Rye restaurant celebrates the Midwestern foods that chefs Megan and Colby Garrelts grew up eating. Both of these chefs are proud to be from the Midwest and Rye showcases dishes that they have enjoyed with several generations of their families. Rye pays homage to those heritage dishes that the Midwest is known for like succulent smoked pork chops, aged steaks, bbq ribs, fried chicken, seasonal vegetables from the garden, Parker House rolls, freshly made pies, fruit cobblers, and layer cakes to name a few. The food at Rye takes traditional dishes and gives them a chef’s point of view, while preserving the important heritage of the dish. Chefs Megan and Colby use fresh, locally-sourced ingredients and products including produce from their family farm. We were here Easter Sunday. We had a 2:15 reservation and were seated promptly at 2:15. The food as amazing, as expected, and the service very good. I highly recommend Rye Plaza for anyone dining out. We had desserts with our lunch and my husband had the lemon merigne pie which was the best ever! I have been here for tea and pie before and is always good. Beautiful decor - excellent food and service - wonderful Sunday brunch. Very appealing restaurant on all counts. Always a good choice for any meal. Today we had Easter Sunday breakfast. 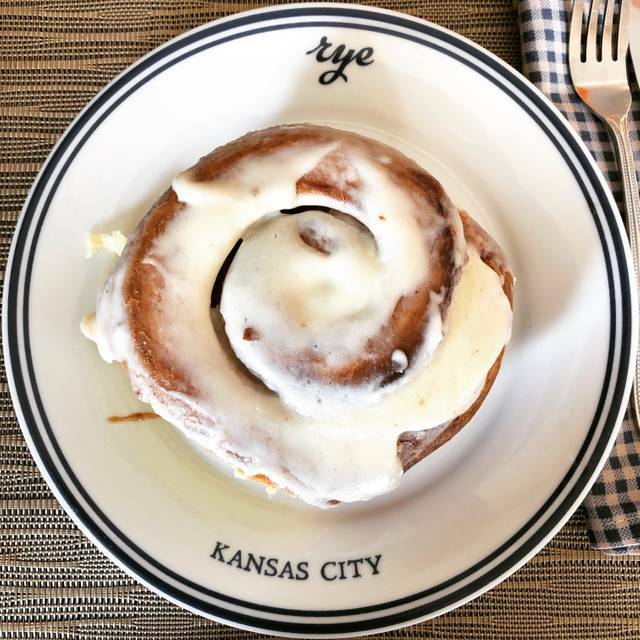 Rye Plaza has the best cinnamon rolls in town. Beautiful inside, great service and food. 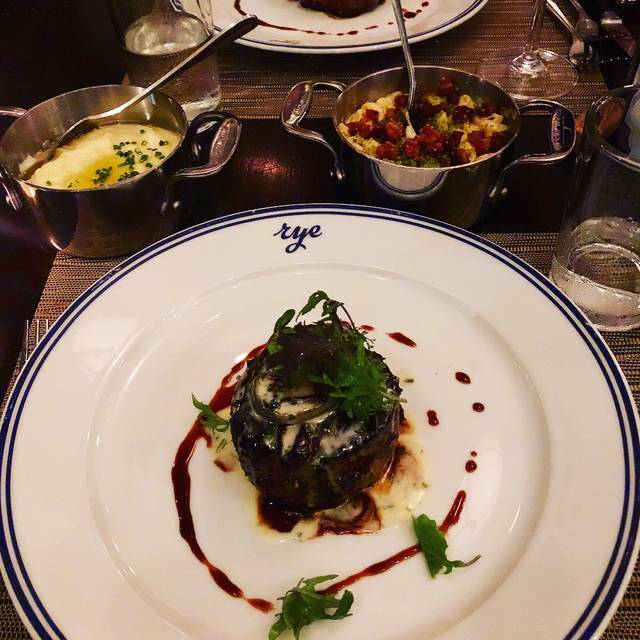 This was our first time at Rye and we thought everything was amazing! We took our 12 year old granddaughter and she loved the salmon. My husband ordered the halibut and said his was the best. I had the pork shank which melts in your mouth! Our Granddaughter is a key lime pie "connoisseur" and thought it was outstanding! We specifically requested Dan as our waiter as we know him from his work at Tannin's. We can always count on a memorable experience when he is serving us! Look forward to coming back with friends for the Sunday Meal Special! It's all about what you order. 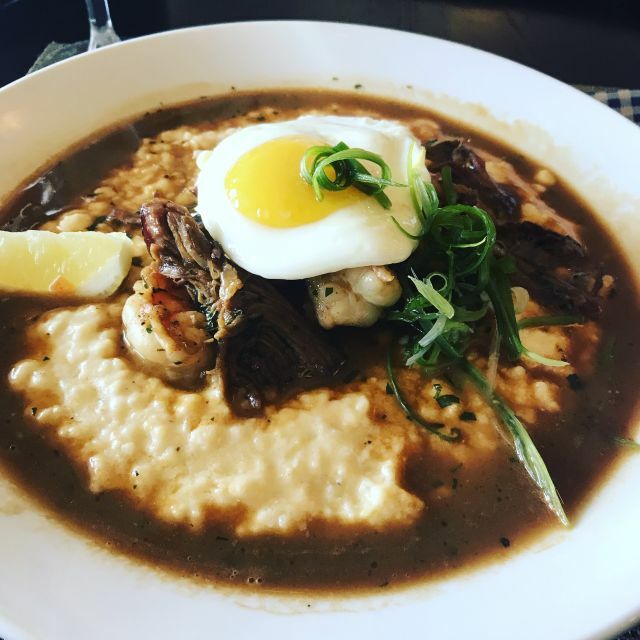 I ordered the shrimp & grits (with pork). Having had this dish several times in different cities, I have something to compare it to. I found the sweetness of the "juice" overpowering and just the wrong flavor for this dish. I have never had this dish with pork added so I am sure it was the sugar in the pork portion of the dish that ruined it. You could not taste any other flavors than the sweetness that was overpowering...no cheese or shrimp. Another person order chicken and they said it was good but nothing to write home about. The person who had chicken salad did not comment on their meal. I have eaten a salad at the Leawood location and it was good. I enjoyed much of the experience of Rye, I will return in the future to try many other of the options on the menu. This was my second visit and overall it was ok. I went for brunch again and our food took an excessively long time to come out. Our server though pleasant seemed to be super busy. We didn’t receive any updates as to why the food was delayed etc. After the wait my steak was severely over done. I had to send it back. It was promptly corrected though. Still an awesome place. We were seated promptly. Our server did a great job, she was attentive and friendly. The food arrived in a timely manner and the pork chops were AMAZING!!! Also do not skip the pie. I had the banana creme and my girlfriend had the strawberry rhubarb, both were absolutely euphoric. 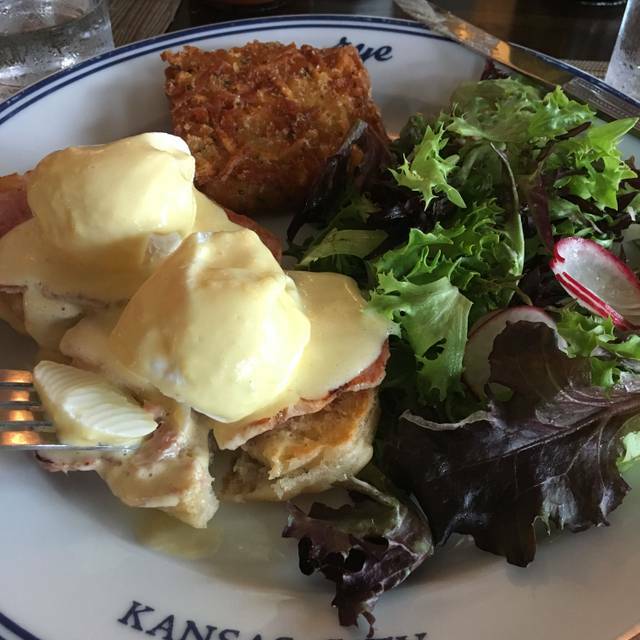 Rye is now one of my favorite places in KC to eat. A great brunch/lunch menu made this a great place to bring my somewhat picky granddaughters. One devoured her pulled pork sandwich and enjoyed her mocha. The other found that her buttermilk pancake was not something she loved... and my taste of it indicated it was a little dense but tasted good. Her side of four sausage links was excellent and she gulped down her fresh squeezed orange juice. My spicy chicken sandwich touted by the server was neither spicy nor crispy. I wish I had the lobster roll which sounded great. But overall the menu, food and service were great and the whole restaurant is approachable and relaxed. We will definitely be back. We went for brunch. Service was wonderful, a little slow, but that is to be expected with brunch. Had the Rye Breakfast. Eggs were very salty, but everything else was wonderful. The dining experience was fine, but not exceptional. I think dinners need to come with vegetables, not pickled cucumbers. I was served mashed potatoes and then they were taken away because the waiter had made a mistake. Ordering veggies as sides would have really run up our bill, but I should have done so as I was not happy with just chicken. The four of us ate for $155 without tip, and that seems excessive for a dinner that we could have had at Popeyes for much less money. Also, I had read the menu on line and had hoped for one of the special drinks. Alas, the waiter told me several things on line were not available on the Plaza. Always great food and drink, great service in a convivial Plaza location. Handsome dining room, attentive and accommodating service, remarkably muted noise level for an open space, and delicious food. Sunday brunch at Rye is yummy!! Especially love the crispy hashbrowns. Came for Sunday Brunch, food, service and atmosphere were great! It was the best rainbow trout I’ve ever had. Would like to have the green beans cooked longer; they were like raw. The fried chicken and soft shell crab were also favorites at our tsble. Food was delicious and prepared as desired. Restaurant and restrooms were clean and orderly. Waitress was very knowledgeable about menu. Other members of wait staff who weren't assigned to our table were helpful with drinks, clearing plates, etc. Enjoyed this restaurant very much, everything was good. Had a fun business dinner. Great food and atmosphere! Sunday steak special was great. 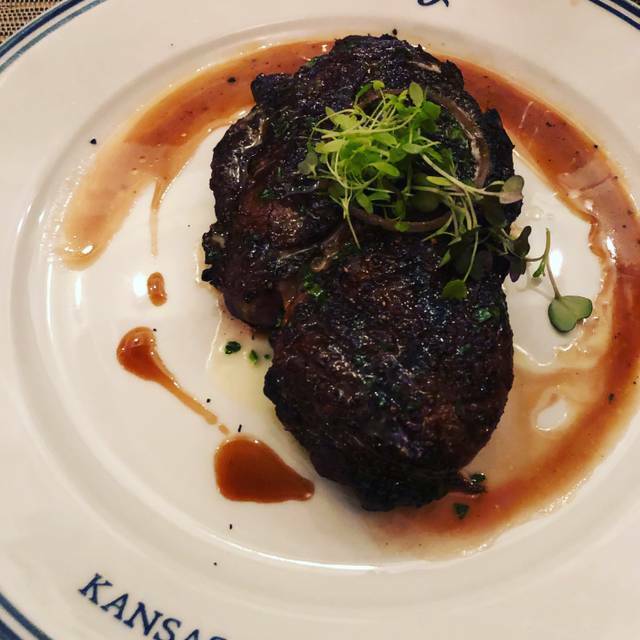 Steak was high quality—as good as Capital Grill. Will be back and will bring others. Our server Jessi was excellent! We went for Sunday brunch and the atmosphere, food and staff were terrific. I added a person last minute and called the hostess was pleasant about it. Luckily she was able to accommodate our reservation. We will be going back soon. Rye was so good and the ambiance was modern and cute. We got a cinnamon roll to share to start, and it was delicious! 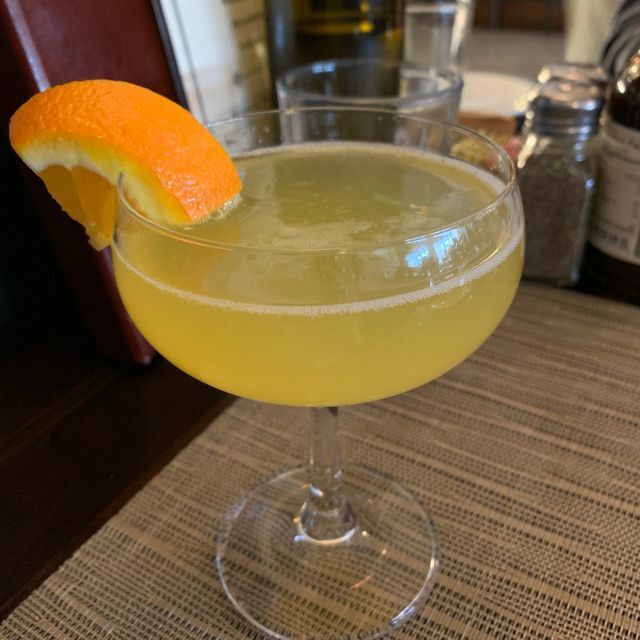 The mimosas were great, eggs Benedict and hash browns were really great too. Convenient location on the KC Plaza with lots of room and inviting atmosphere. Casual breakfast/lunch - the best! 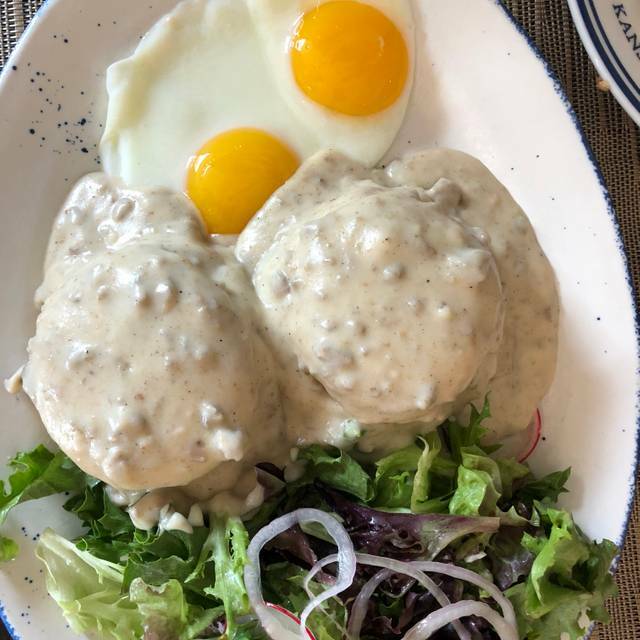 We had Sunday brunch at Rye-Plaza, and it was unbelievable. The food was phenomenal, service unparalleled, and bakery products delightful. We will return! Great place to eat. Cinnamon roll was awesome. Our server Claire was fantastic! The food was delicious and served hot. We also appreciated our table being ready on time. Wins all around! Our first time there and all was fantastic, from outstanding service, food and wonderful dessert. Amazing! The dessert was phenomenal! I highly recommend the Pot De Creme. We can't wait to come back. It wouldn’t be the first, second, or third place I would recommend to eat, but the food isn’t horrible. There are so many other good restaurants on the Plaza to try instead. Great place to meet for brunch!! Check out their pastry counter yum! I went for the fried chicken, which was delicious. The mashed potatoes were more of the "French" style (pommes puree) and actually, I prefer fluffier mashed potatoes with gravy. They we delicious none-the-less but a bit dense/heavy. 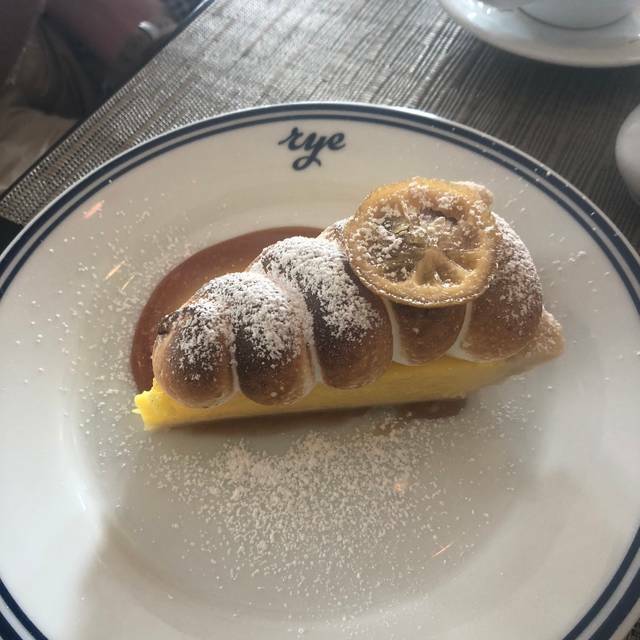 Rye's lemon meringue pie is extraordinary.